There are thousands of health issues that can affect your dog. About 400 of these are genetic. Labradors are the most popular breed and have been around since the 1800s. 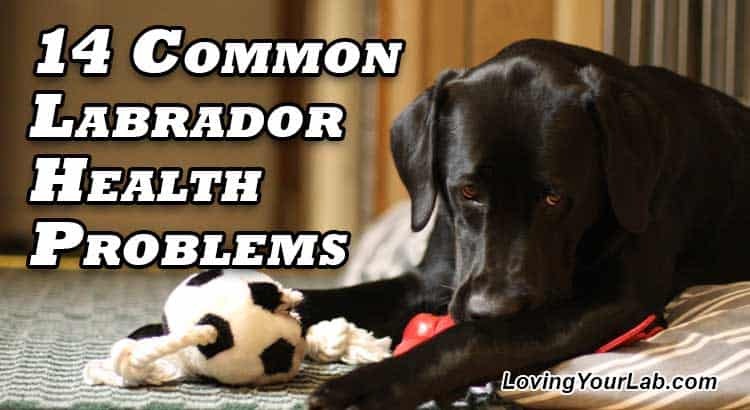 With so many Labradors and so many possible health issues, they are bound to be susceptible to some of them. Cancer is the number-one killer of dogs ages 10 and older. In fact, dogs are three times more likely to develop cancer than humans. However, with recent developments in treatments, cancer is not the death sentence it once was. Just like in humans, early detection is key to getting treatment on time. Common signs to watch for are abnormal swellings that continue to grow, any strange bleeding or discharges, difficulty breathing, difficulty relieving himself, loss of appetite or difficulty eating, persistent limping or loss of stamina, sores that won’t heal, weight loss, and a strong offensive odor from his mouth. If you notice these signs have you dog checked immediately by your vet. The sooner cancer is detected the sooner it can be treated. Some treatments that are available are surgery, chemotherapy, and radiation. Heart disease is quite common in dogs, especially in older ones. Even healthy dogs can develop the condition but it is still a good practice to keep your Lab up-to-date on vaccinations. Make sure he eats healthy food, drinks lots of water, and gets plenty of exercise. Some symptoms that may indicate heart disease in your Labrador are fatigue, coughing, loss of appetite, abdomen swelling, trouble breathing, and weight loss. If your dog exhibits any of these symptoms take him to your vet for an examination. The most common heart disease in Labs is Tricuspid Valve Dysplasia (TVD). This is a congenital condition and usually affects males. This is present at birth and it is a defect in the valve located on the right side of the heart. The first indications of this disorder are a heart murmur and signs of congestive heart failure. There is currently no cure for this but your vet may prescribe diuretics to help relieve fluid retention. He may also recommend that you restrict your Lab’s exercise so that he doesn’t put unneeded stress on his heart. Labradors with the mild form of TVD can often lead a full and normal life. Labs with the severe form will often develop congestive heart failure. However, with recent advances in medicine and treatments, they may still have a good quality of life for several months and even years. Progressive Retinal Atrophy is a term that is used to cover a variety of diseases that cause retinal degeneration and eventually lead to blindness. The most common type of PRA in Labs is called progressive rod-cone degeneration. In this type of PRA, the rod and cone cells in the eye develop normally but then, because of a mutation, eventually degenerate and cause blindness. This can happen as early as one year of age but is more likely to develop later around 3-7 years. Signs that you may notice are the eye appearing cloudy or shiny and changes in behavior. Your dog may bump into things or startle easily as he isn’t as aware of his surroundings. Night blindness usually appears first and progresses to the point where the dog is completely blind. This usually takes about six months. Most dogs adapt to their disability over time, especially if their life is settled and their environment is consistent. This is a genetic disease and your Labrador can be tested to see if he has the genetic markers for it. There is no cure for PRA but it is not painful and doesn’t affect the lifespan of your dog. Retinal Dysplasia is more common than PRA and is also inherited. This disorder occurs when the layers of the retina do not form properly. In dogs with this disorder, the retina develops folds instead of forming a thin membrane at the back of the eye. These folds create blind spots. In mild cases, the dog can still see fine since the blind spots are small and almost unnoticeable. In other cases, the blind spots are larger and can create some major visual impairment. In the worst cases, the retina can completely detach and the dog can be completely blind. There are eye exams that can detect this condition. These exams are best performed on puppies at 14 weeks of age. There is no cure for Retinal Dysplasia but the disease is not painful or life-threatening. Joint problems, like hip and elbow dysplasia, are common in Labradors. These disorders affect the joints and can cause pain, making it difficult for your Lab to move normally. Hip dysplasia is a common ailment found in medium to large dogs. It is caused by the head of the dog’s femur not fitting correctly into the hip socket. This can cause pain and lead to immobility and arthritis. Hip dysplasia mainly occurs in older dogs but has been known to become an issue as early as five months of age. If your Lab has mild hip dysplasia, pain-relieving drugs can help to minimize the symptoms. Non-weight-bearing exercises, like swimming, have also been known to help with mobility and to ease their discomfort. It is important to keep your dog at a healthy weight as this will help alleviate stress on his joints. Some dogs with hip dysplasia never show any signs at all, while for others, it can be debilitating. For Labs with severe hip dysplasia surgery may be necessary. One option is hip-replacement surgery. Another option is a triple pelvic osteotomy. In this surgery, the pelvic bone is cut into three pieces and the hip is rotated. Both of these are major surgeries and require long recovery periods – usually several months. Elbow dysplasia can have several causes. Loose bone chips, arthritis, or loss of cartilage in the elbow joint can cause the dog pain and make it hard for him to walk. Signs of this condition often appear between four and ten months of age, but it can appear in later years as well. As with hip dysplasia, it is important to keep your dog at a healthy weight to relieve stress that is put on the joints. Mild exercise, like walking and swimming, can help improve strength and keep the joints flexible. Sometimes your dog may require surgery to remove bone chips or cartilage. Recovery time from this surgery usually lasts for a few weeks and the dog will need to have some physical therapy. Both hip and elbow dysplasia seem to have genetic indicators but the exact gene has not yet been identified. Dysplasia is not entirely preventable but your Lab’s environment can certainly make a difference. A healthy diet and lots of low-impact exercises can help to minimize the symptoms and keep your Labrador mobile. Exercise-Induced Collapse, or EIC, seems to occur more often in younger, energetic dogs. While playing or exercising, the dog may suddenly stagger and even collapse. He will seem to lose control of his rear legs. He will usually recover somewhere between 5-20 minutes. However, in rare cases, the dog has died from this condition. Most Labs with EIC can live normal lives as long as you monitor their exercise. Keep his exertion at moderate levels and stop your dog if he suddenly seems wobbly or is staggering. EIC is genetic and can be identified through genetic testing. There is no cure for it, but in most cases, your dog can still live a normal life as long as his activity levels are monitored. Labs are extremely active and playful dogs. Because of this, they can be prone to tearing their anterior cruciate ligaments or ACLs. These ligaments are located in the Labrador’s two rear knee joints. The injury can be caused by sudden twisting or turning while they are running and playing. If your dog is overweight, he is more likely to induce this injury. It also seems that dogs who tear one ACL eventually end up tearing the other. The tear must be repaired through surgery and recovery time usually lasts 6-12 weeks. Panosteitis usually appears as lameness in one of the forelegs and then may transfer to the other leg the following day. Panosteitis is sometimes referred to as “Wandering Lameness” and is caused by inflammation in the long bones of the front legs. It usually occurs in Labs that are 6 to 14 months old. Panosteitis is very painful but will go away on its own. Anti-inflammatory drugs are recommended to help with the pain and you should make sure your dog rests for several days while he heals. About 20% of all adult dogs have some degree of arthritis. If your dog is obese he has a greater chance of being affected. The most common type of arthritis in dogs is osteoarthritis. This is caused by damaged cartilage. Cartilage doesn’t have any nerves so the dog doesn’t feel any pain in the beginning and continues his normal activities. Being active increases the damage. Signs that may indicate arthritis are avoiding activity, limping, reluctance to climb stairs, sensitivity to cold and damp weather, stiffness, and shrinking away from being touched. Arthritis can actually cause more issues for your Lab than deafness or blindness. Fortunately, there are several things you can do to lessen the symptoms and pain. There are several medications that your vet can prescribe to reduce the pain. There is also a new class of supplements, called nutraceuticals. Some examples of this are glucosamine and chondroitin. These supplements can help you Lab heal himself. They don’t just help with the pain but they also help to protect and restore. Keep in mind these supplements can take a while to work and not every dog responds to their effects. There is no cure for arthritis but there are treatments, such as those mentioned above, as well as physical therapy and other homeopathic treatments that can help lessen the pain and discomfort. You can also help make your dog more comfortable by providing them with soft bedding and a warm place to sleep. Obesity is a common issue in many Labradors and can lead to lots of other health issues. Luckily, it is one of the easiest problems to manage. All you need to do to keep your dog’s weight under control is to monitor what he eats, limit his treats, and make sure he gets plenty of exercise. Sometimes this means measuring your dog’s food portions to make sure he isn’t getting too much. If you aren’t sure how much your Lab should be eating each day, consult your vet for the appropriate amounts. Lab’s can be over-eaters so don’t let him fool you into thinking he’s starving. If you are following a recommended amount from your vet, then he is getting all the nutrients he needs. Obesity can lead to health problems like diabetes and can also make the symptoms for arthritis and hip and elbow dysplasia worse. Keeping your Lab healthy and slim will help prevent him from developing diabetes and can help ease any pain he feels with his arthritis or dysplasia issues. When we hear the word bloat we often think of retaining water. When we say we feel bloated we are usually just uncomfortable and we know the symptoms will soon pass. When a Lab suffers from bloat it is a much more serious condition. Labs can be overly hasty eaters and this can lead to bloat. Bloat occurs when the dog’s stomach fills with gas and then twists. The twisting puts pressure on the surrounding organs and makes it impossible for the dog to vomit. Signs to look for are a swollen stomach, trying to vomit, and restlessness. The exact cause for bloat isn’t known. The best ways to prevent your Labrador from developing this condition are to monitor the rate at which he eats and drinks. Don’t let him overeat or drink too quickly. It’s also a good idea to keep him from exercising too quickly after he eats. If you suspect that your Lab may have bloat, take him to the vet immediately. Your vet may administer treatments to keep the dog hydrated and to relieve the gas in order to keep the bloat from worsening. If his stomach has already twisted then surgery is necessary to save the dog. Labradors are known for their somewhat large, floppy ears- it’s one of the features that makes them so adorable. However, those large ears are also more susceptible to ear infections. If your Lab is constantly shaking his head and pawing at his ears then check to see if he has an ear infection. You may notice a discharge, bad odor, or redness- all are signs of an ear infection. If you think your Lab has an ear infection take him to your vet to get diagnosed. Your vet can prescribe medication to clear the infection up. You can help prevent ear infections by keeping your Lab’s ears clean and dry. Make sure you dry his ears whenever you bathe him or take him swimming. It’s also a good idea to keep the ear clear of excessive hair. If you have a hard time doing this then a groomer can take care of it for you. We did many hours of research into this issue of ear cleaning and compiled it into one easy-to-read article on how to properly clean your dog’s ears. Click on the provided link if you’d like to read the definitive, must-have guide for cleaning your dog’s ears. Just like you, your dog can have allergies. Labradors seem to be more prone to them than other breeds, especially female Labs. These allergies can be caused by all sorts of things like pollen, mold, fleas, food, etc. Symptoms to watch for are scratching, licking her paws, ear infections, and dry, flaky skin. You may also notice hair loss. The scratching can sometimes lead to secondary infections that require their own treatment. If your dog develops a flea allergy, you can relieve this by getting rid of the fleas. Other allergies are harder to deal with. Allergies can’t be cured but the symptoms can be managed. Your vet may suggest a special shampoo or medication to help relieve the itching and prevent flare-ups. Cold Water Tail is also known by a few other names, such as limber tail, dead tail, and broken tail. It is a common ailment among the sporting breeds. In the event of Cold Water Tail, you may notice your dog’s tail hanging straight down or sticking out horizontally for a few inches and then hanging down like it’s broken. This would occur after a cold bath or swim, and sometimes it even occurs if they have been working hard and wagging their tail a lot. Experts don’t know for sure what causes it but it seems to be a type of muscle strain in the tail. It is painful for your dog and can last for several days. In most cases, the tail returns to normal on its own. Your vet can prescribe anti-inflammatory medication to help with the pain and accelerate the recovery time. Cold Water Tail can sometimes be misdiagnosed by your vet as a tail fracture or even a spinal cord injury, so make sure you mention this condition to your vet if you think it may be the issue. Should I get medical insurance for my Lab? This decision is entirely up to you. Many advanced treatments are now available for major medical issues. There are many diseases that can now be cured or treated that previously meant death for dogs. A lot of these treatments can be very expensive. There are insurance companies that offer a wide range of policies for your pet, and some vets offer their own types of coverage. The coverage of these plans can from just covering the major medical issues to including coverage for check-ups and vaccines. You need to do your research to decide what coverage, if any, is right for you and your dog. 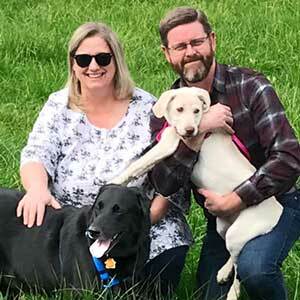 Are most Labrador diseases genetic? There are many Labrador diseases that are genetic and many that are just environmental. Sometimes they can even be caused by a combination of the two. We are still learning so much about the different diseases and disorders that our pets contract that is difficult to say for certain one way or the other. There is no way to prevent all of the medical issues that can befall your Lab but you can do your best to keep him healthy. How can I reduce the effects of these medical disorders? Make sure your Labrador eats healthy, well-balanced dog food and gets lots of exercise. Being overweight can increase your Lab’s chances of developing heart disease and other medical issues and can create more stress on his joints. Make sure that you exercise your Lab correctly. Vigorous exercise can create stress on the hip sockets as well as on the heart. Keep exercise at a moderate level. We’ve put together a helpful how-to guide on walking your Labrador. This article can help you avoid common mistakes when taking your Lab for a walk. Swimming is also a great exercise as it doesn’t put much stress on his joints. In a related article, we’ve put together 6 Important Tips When You Take Your Labrador Swimming. This information can help you keep your Lab safe from common dangers while enjoying the water. Previous Post:Does Labrador Color Affect Their Personality?